Do you operate a business in the Lone Star state? We offer debt collection services in Houston, Austin, San Antonio, Dallas, Fort Worth, El Paso, Wichita Falls, Abilene, Waco and other cities throughout the great state of Texas. Jana Ferrell is a successful commercial collection agency with expertiese in the laws regarding commercial collections services in Texas. Our many years of experience in working with executives and business owners has given us insight and understanding as to why you have not been paid and the most effective means to getting your money. Our team of collections agents have decades of experience and are highly trained in the latest technologies required to effectively and efficiently collect debts for your small business or large enterprise. We understand business in Texas and our extensive knowledge of the laws and guidelines and use of the technology available to us, have awarded us great success in small business collections as well as large claims collections. We successfully collect your money in a professional and legal manner and have served customers just like you in the medical, service, distribution, manufacturing, financial, publishing and credit services. Collection agencies in Texas are regulated by the Fair Debt Practices Act (FDCPA). We are also regulated by Texas debt collection laws. There are laws that define and determine collection requirements, NSF bad check laws, garnishments, statute of limitations for both judgements and debts, plus agency licenses and bonding for Texas collection agencies. Please note Texas debt collection laws can change over time. We stay current on the updates and changing regulations and requirements imposed on debt recovery. Fair Debt Collection Practices Act (FDCPA) are federal laws providing limitations on what debt collectors can do. It also covers how debt collection is reported on credit reports and works in conjunction with local Texas Collection regulations. Every collection agency in Texas must follow these guidelines. There are guidelines that determine how we can collect from a debtor who is represented by an attorney. We work with our legal team to collect to the full extent of the law. We’re used to working with attorneys and know how to navigate collections through the legal system. We also work together with our own legal counsel to ensure all our collections agents, policies and strategies are above board. Call today or email us to discuss a custom debt recovery plan that will work for your business. We are respectful and considerate representatives of your business with dedicated attention to professional, competent, unsurpassed debt collection services. If you’re ready to learn more about how we will increase your cash flow and how you can now collect on bad debt, call us today. 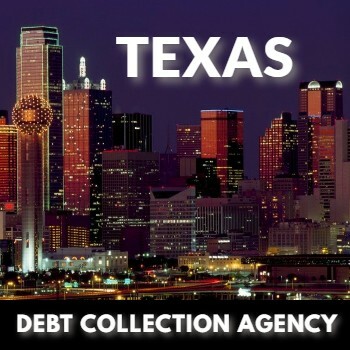 These are sites we use in regards to all our activities regarding Texas debt collection.